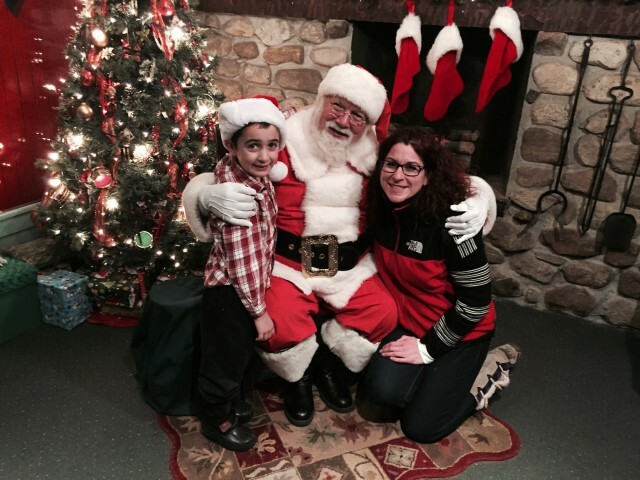 Every year we faithfully don our full winter gear, pack up the car, and head to Santa's Workshop in North Pole, NY. As we hit the town of Wilmington and see our first indication that we are getting close, the excitement builds - for everyone in our group, no matter the age. The Village of Lights is an especially magical time to visit Santa and has become a part of our annual holiday tradition. Held on just a few weekend evenings throughout December, I highly recommend making the trip. While the weather varies from day to day, on this particular trip the weather was warmer than it has ever been during one of our trips - we didn't even need gloves or hats - kind of weird not to be bundled from head to toe in December! Although, I will say it was not quite as warm as our last blog which highlighted the summer season — another great time to visit Santa and remind him that you are working hard toward landing on that Good List! 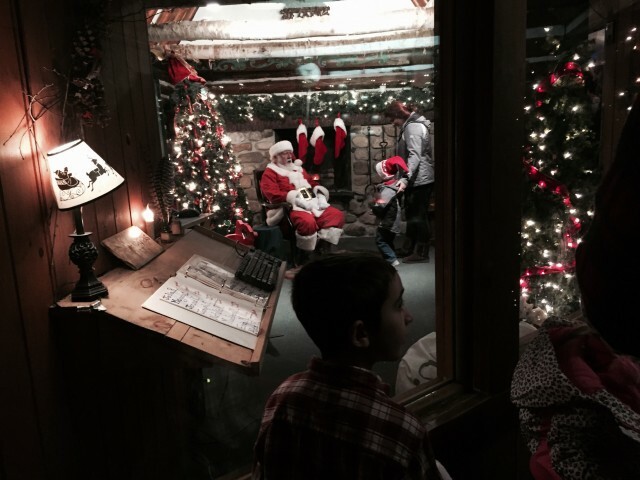 The magic of the season is certainly alive and well at Santa's Workshop. The moment you walk through the front door and enter the North Pole Post Office you are greeted by Santa's Helpers. Soon enough you are mingling with colorful characters, giggling with elves, and making toys in the Toy Maker's shop. Carolers will serenade you as you sip cocoa by the fire, and no trip is complete without petting Santa's reindeer. Of course, the highlight is chatting with Santa and making that last-ditch attempt to ensure you'll get more than coal in your stocking. Now, they say pictures speak louder than words, so here are a few highlights you can look forward to when visiting during The Village of Lights. Reservations are already being taken for next year's Yule Tide Weekends - why not make this an annual tradition? Oh, the weather outside is... delightful, actually! Enter here and let the magic begin! Getting ready to pull the sleigh! Where else would you encounter a singing tree? Live events including a Nativity Pageant always draw enthusiastic responses. Kids are welcome to help the elves make toys! ... you can't catch me I'm the Gingerbread Man! Like a kid in a candy store...literally. Carolers keep the spirit up and invite visitors to join in the merriment! Checking out the good list while waiting for Santa is part of the fun. Is your name on it? 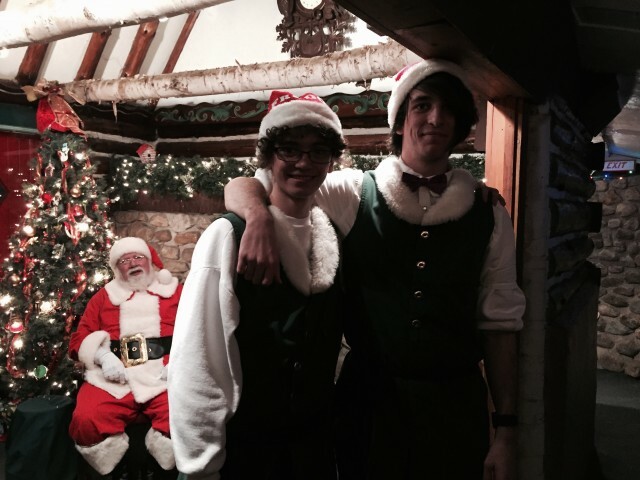 Santa's right-hand elves are always ready to answer questions! It's tradition: we always pick one special ornament. You should, too! And, of course, if you can sneak away from the kiddies, you can arrange for Santa to send them a personalized letter! A visit to Santa's Workshop is always pretty tiring. Be prepared for a quiet ride home! Ready to plan your winter wonderland visit? Start with this handy 2017 Village of Lights info!